Jamón Ibérico de Bellota, Chorizo, Salchichon, Lomo - Handmade using meat from acorn-fed Iberian pigs, the quality of these cured ham and sausages is outstanding. Hand cut by our Maestro Cortador, Loecadio Corbacho Bocanegra! 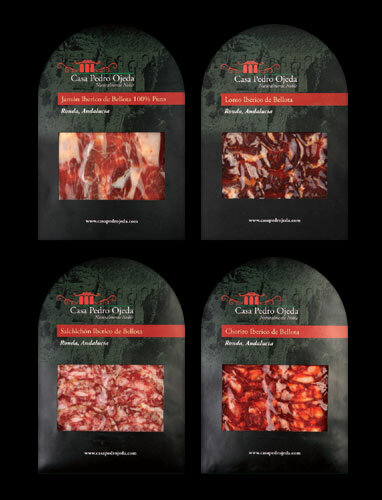 All our Ibericos selection come from the Parque Natural de Andalucía. The Ibérico pig is native and exclusive to the Iberian Peninsula and raised freely in a unique ecosystem known as the Dehesa. These are extensive Mediterranean woodlands abundant in Cork and Holm Oaks whose fruit, the acorn ("bellota"), along with the fresh aromatic grass is the staple diet of the Ibérico pig. Its ham is also known as "Pata Negra" and is probably the most revered in the world. The hams are salted and left to begin drying for two weeks, after which they are rinsed and left to dry for another six weeks. The curing process then takes at least 24 months. There is a wide variety of Iberian Hams, as Recebo (pigs fed by acorns of oaks, by cereal and by herbs) either still Cebo (pigs fed only by herbs and by cereal). But the pinnacle of the Iberian ham is the 100 % pure of Bellota, who results from pigs, which are exclusively fed by acorns of oaks, named " Bellota ". 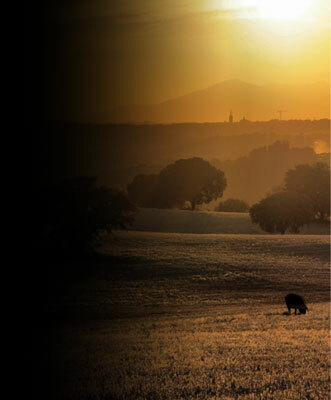 In Spain, we consider that the cutting process of the Ibérico is as important as the raw material itself. Only precise, delicate cutting will insure an explosion of rich, exquisite taste. Cutting the ham is an art, acquired after more than a millennium of traditions and passed from father to son. It is so important that, all over Spain, ham-cutting contest and awards are held on a regular basis. Casa Pedro Ojeda’s 100% pure Iberian Ham pure. 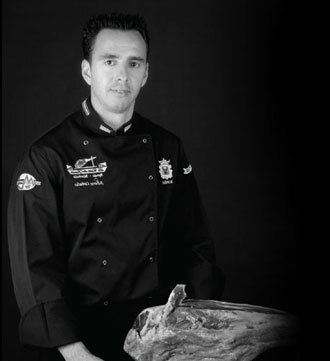 At Casa Pedro Ojeda, we chose to offer you the Iberian Ham 100% pure of Bellota, to share with you the elegance and the nobility of this wonderful product of the high gastronomy. Our selection gathers exclusively pigs pure bred, possessing a black dress. A Master “Jamónero” in the region called Serranía of Ronda, in Andalusia, raises them. Animals evolve in a protected environment, inside a vast and hilly natural space and are exclusively fed by acorns of oaks ("Bellota"). All our hams follow an entirely homemade craft process of elaboration and maturation. They are refined at least 36 months and are methodically controlled to optimize their potential of flavors. All Casa Pedro Ojeda Ibéricos are hand cut for your enjoyment by the Maestro Cortador, Mr. Leocadio Corbacho Bocanegra from Ronda, champion of Spain!